The Hyundai Ioniq battery-electric hatchback hasn’t even been on the market that long, but Hyundai is already giving it an upgrade to include greater range than today’s 124 miles. During the recent media launch for the Hyundai Kona Electric, Gil Castillo, Hyundai’s senior group manager for alternative vehicle strategy, confirmed to Inside EVs the company will upgrade the Ioniq’s range soon. Specifically, they will be slotting in a larger battery pack for additional juice. Castillo stopped short of confirming how much additional range the car will get, but did state it will stop short of the Kona’s 258 mile EV range. Regardless of the delta with the Kona, anything additional to its 124 mile range will be welcomed. Despite having more interior space than the Chevrolet Bolt EV and Nissan Leaf, the car’s current range is its only hinderance from a competitive perspective. However, the range issue can be slightly discounted considering the Ioniq is the only EV of the three that has a starting price below $30,000. 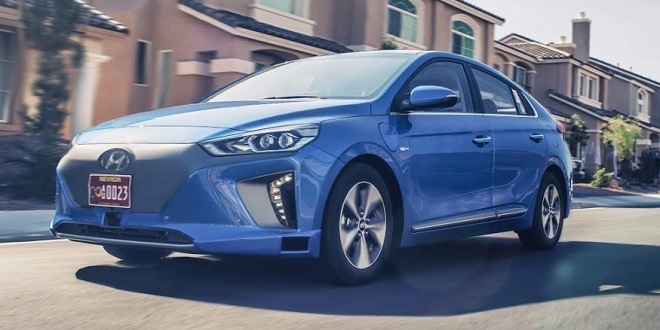 What will be interesting to see with the 2020 Ioniq will be if Hyundai maintains that sub-$30,000 price tag with range that is more in line with competitors.